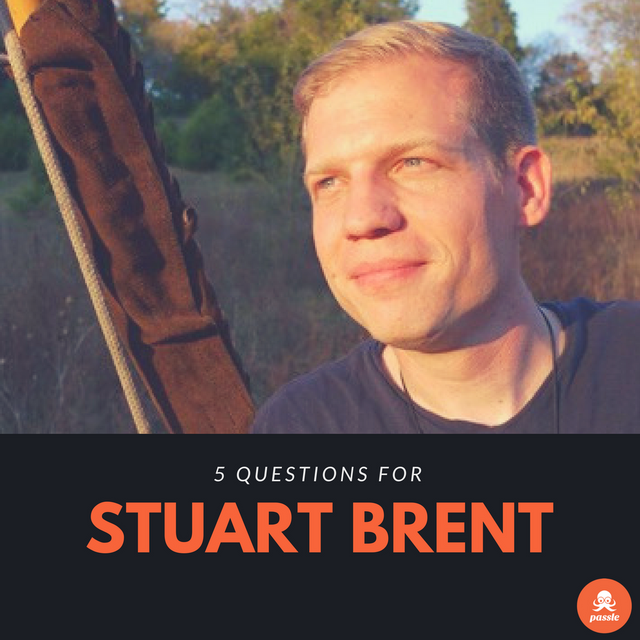 Today, I'm asking serial founder Stuart Brent 5 questions on startups, business, and least favourite buzzwords. Stuart started his career by founding Vacord Screen Printing and established that company as a pioneer in discharge printing techniques, and has since gone on to co-found several startups including MapPlug, StartupResources.io, userinput.io, and Beyond Beta. 1. Growing up, did you imagine you’d become a serial entrepreneur? I always thought as a kid and in college about starting my own business, but I had no idea if I really would. I actually sort of fell into entrepreneurship after college, as I was printing shirts for a hobby, and couldn't find a "real job" so I started printing shirts for hire. People said I couldn't make a living with it, but I ignored them, and I've since sold $1.75M worth of screen printing services, so it's working out so far. 2. Your projects are pretty varied, from T-shirt screen printing to tools and resources for startups. Do they have a commonality in your mind? Scratching my own itch is what leads to my successful projects. I started printing t-shirts because I wanted some for my band and didn't want to pay someone else to do it. I started the list of tools because my memory isn't that great and I would forget the weird names of all these tools, and decided to write them down, but then decided to make that list public and it turned into startupresources.io. I ran surveys on my own websites and for customer discovery through Mechanical Turk, and decided to turn that into a service, which became userinput.io. I think if you're solving your own problem or doing something that you need, other people probably need it too. Be your own first customer. 3. What does “business” mean to you? A challenge and a game. I think it's the greatest game one can play. It's definitely not easy, and that makes it so rewarding, or such a nightmare. 4. What is your least favourite business or marketing buzzword, and why? "Hop on a call." I really don't like scheduled phone calls, and I think they're disrespectful of people's time often. If you want to be on my good side, don't ask me to "hop on a call" sometime. 5. What tool couldn’t you live without? I bought a MacBook Air in 2011, and it's still going strong. I've replaced the battery, and I wish the hard drive was bigger, but it still looks pretty new, and it performs very well. I use it daily, and it's been all over with me. I'd be dead in the water without it.